Continued from "Pyramids of Wisdom"
After their remarkable progress in spirituality and rationality, the Brahmans made an acknowledged advance in astronomy as well. The exposure to the mysteries of the universe that their astronomical pursuits afforded, insensibly led them to probe the vicissitudes of life and fathom the fate of man through the astrological vision. The fascination Brahmans felt for the charms of crystal gazing, in a way, put the wheel of the Brahman enlightenment in the reverse gear. As the predictions about man’s future brought the predilections of his present to the fore, and as the acceptance of the former led to the remedial need for the latter, charlatanry became a corollary of the Hindu wisdom. Thus, the imperfect science of astrology and the perfect sense of exploitation together came to dictate the Brahman ethos, and in time, the Hindu social psyche, even to this day. It was this Brahmanic propensity for things astrological that insensibly led to superstitious practices amongst the Hindus at large, giving a go by to the Upanishadic wisdom and all that goes with that. 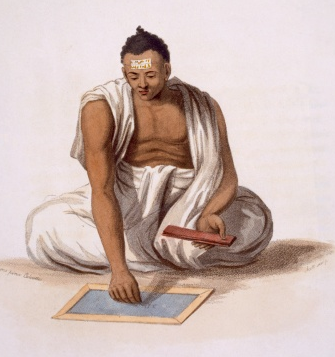 It was thus, in an ironical twist of human destiny, the unmatched intellect of the Brahmans that contributed so much to the World Bank of knowledge, at first deprived their fellowmen by denying them the scope to learn, and in the end, depraved them as well, caught as they were in the quagmire of prejudice and superstition. But then, what were the Brahman intellectual achievements that became legends in the annals of human learning! To start with, we have the astronomical reach of the Brahmans, depicted in his ‘Indica’ by Alberuni, written around 1,030 A.D. It may be noted that for this exercise in dissection, the implements are drawn from Alberuni’s cabinet of Indica, presented in English by Dr. Edward C. Sachau, and published in India by Rupa &Co.
Surya-siddhanta, i.e. the Siddhanta of the sun, composed by Lata. Vasishtha-Siddhanta, so called from one of the stars of the Great Bear, composed by Vishnuchandra. Pulisa-Siddhanta, so called from Paulisa, the Greek, from the city of Saintra, which I suppose to be Alexandria, composed by Paulisa. Romaka-Siddhanta, so called from the Rum, i.e. the subjects of the Roman Empire composed by Srishena. The table of contents of the twenty-four chapters of the Brahma-Siddhanta listed by Alberuni indicates the extraordinary range of the Brahmanical pursuits. On the nature of the globe and the figure of heaven and earth. On the correction of the places of the planets. On three problems: how to find the shadow, the bygone portion of the day and the ascendens, and how to derive one from the other. On the planets becoming visible when they leave the rays of the Sun, and their becoming invisible when entering them. On the first appearance of the moon, and about her two cusps. On the shadow of the moon. On the meeting and conjunction of the planets. On the latitudes of the planets. A critical investigation for the purpose of distinguishing between correct and corrupt passages in the texts of astronomical treatises and handbooks. On arithmetic: on plane measure and cognate subjects. Scientific calculation of the mean places of the planets. Scientific calculation of the correction of the places of the planets. Scientific calculation of the three problems. On the deflection of eclipses. Scientific calculation of the appearance of the new moon and her two cusps. On Kuttaka, i.e. the pounding of a thing. The pounding of oil producing substances is here compared with the most minute and detailed research. This chapter treats of algebra and related subjects, and besides it contains other valuable remarks of a more or less arithmetical nature. On the calculation of the measures of poetry and on metrics. On cycles and instruments of observation. On time and the four measures of time, the solar, the civil, the lunar and the sidereal. About numeral notation in the metrical books of this kind. As Alberuni had observed as under, the Hindu intellectual descent was evident by the turn of the first millennium of the Common Era. What of the Hindu astrology? The fascination Cheiro felt for the Hindu astrology could be seen from his foreword to ‘Cheiro’s Book of Numbers’. “During my earlier years, when traveling in the East, it had been my good fortune to come in contact with a certain sect of Brahmins who had kept in their hands from almost prehistoric times, studies and practices of an occult nature which they regarded as sacredly as they did their own religious teachings. Among other things, they permitted me to learn certain theories on the occult significance of numbers and their influence and relation to human life, which subsequent years and manifold experiences not only confirmed, but justified me in endeavoring to apply them in a practical sense so that others might also use this knowledge with, I hope, advantage to themselves and to those around them. The ancient Hindu searchers after Nature’s laws, it must be remembered, were in former years masters of all such studies, but in transmitting their knowledge to their descendants, they so endeavored to hide their secrets from the common people that in most cases the key to the problem became lost, and the truth that had been discovered became buried in the dust of superstition and charlatanism, to be re-formed, let us hope, when some similar cycle of thought in its own appointed time will again claim attention to this side of nature. When examining such questions, we must not forget that it was the Hindus, who discovered what is known as the precession of the Equinoxes, and in their calculations such an occurrence takes place every 25,827 years; our modern science after labours of hundreds of years has simply proved them to be correct. How, or by what means they were able to arrive at such a calculation, has never been discovered - observations lasting over such a period of time are hardly admissible, and calculation without instruments is also scarcely conceivable, and so science has only been able, first to accept their statement, and later to acknowledge its accuracy. Cheiro’s admiration for the Hindu astrology made him say at one stage that the only reason why one should believe in it is because the Hindus invented it. However, the other side of the coin of the Brahman intellectual superiority, which gave zero to the world, was that it had nil value for things mundane. And in this lay the seeds of the Hindu philosophy that shaped the Indian psyche of contentment, which is at odds with the materialistic order of the day. It is thus, the antics of Thackarey’s Siva Sainiks against the Westernization of the society represent the growing frustration of the traditionalists. However, maybe, once the charms of Mammon begin to wane in time, the core Hindu outlook of life, shaped by the soul of its philosophy, could be resurgent. Or, would it be a case of a people losing out, in spite of the karmic philosophy, so beneficially imbibed by their forbearers for forbearance against the vicissitudes of life! Only time would tell. Be that as it may, the seeds of the eventual Hindu social decay could be traced to Cheiro’s eulogy of the Brahman virtuosity in astrology. Continued to "The Zero People"